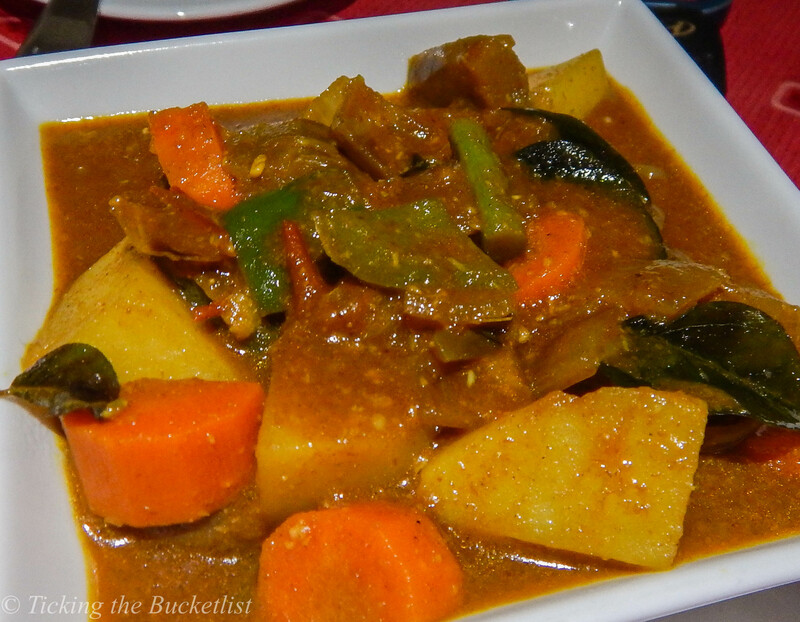 The vegetarian Creole curry is available at almost every restaurant that serves creole cuisine. This delectable dish has a coconut based gravy with chunky vegetables and is usually served with some rice and a salad. Every chef has his/her version of the Creole curry. I tried the dish on three different occasions, at three different places… each one tasted different! If you are in Praslin, I would highly recommend ordering the Creole curry at Britannia. Yum yum yum! Don’t expect to have a pizzeria at every nook and corner in the Seychelles. Don’t expect to buy pizza by the slice either. This is Europe! Pizzas are available at sit down restaurants on the large islands. 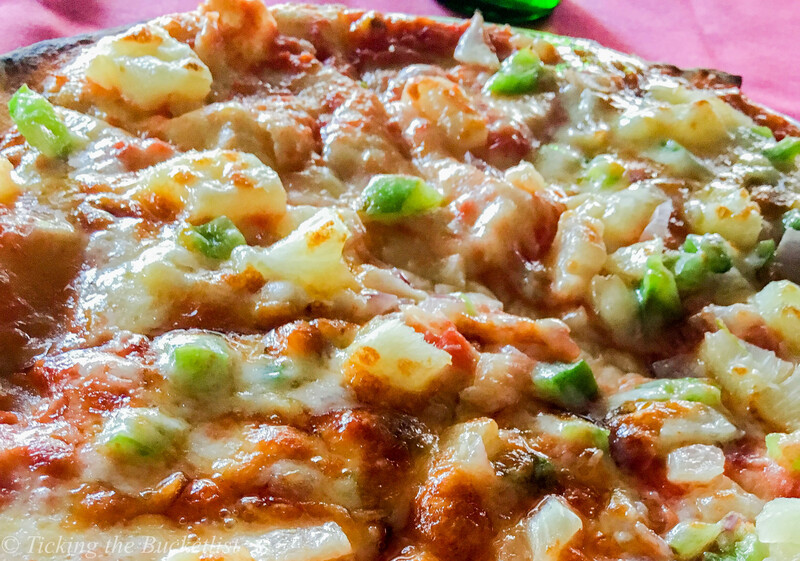 There always are at least a couple of vegetarian pizzas on any pizzeria’s menu… and Seychelles is no different. Ankur’s love for mushrooms made us order the fungi pizza, which tasted very avergae as tinned mushrooms were used instead of fresh ones. We would recommend that you stick to a pizza with fresh vegetables like peppers & onions and you will be a happier soul! 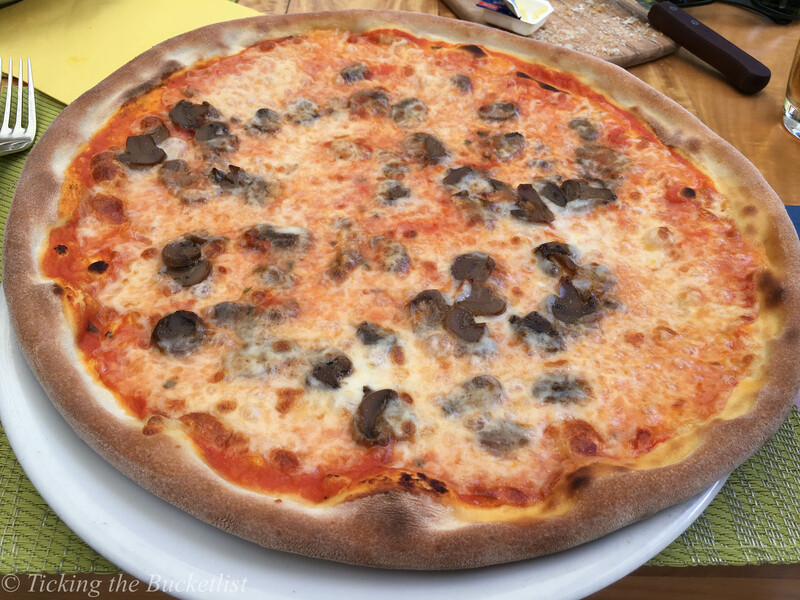 The best pizza that we had in Seychelles was a few hours before our departure at The Pirates Arms restaurant in Victoria. The crust was perfect and the toppings were spread generously. The service made eating there a delight! 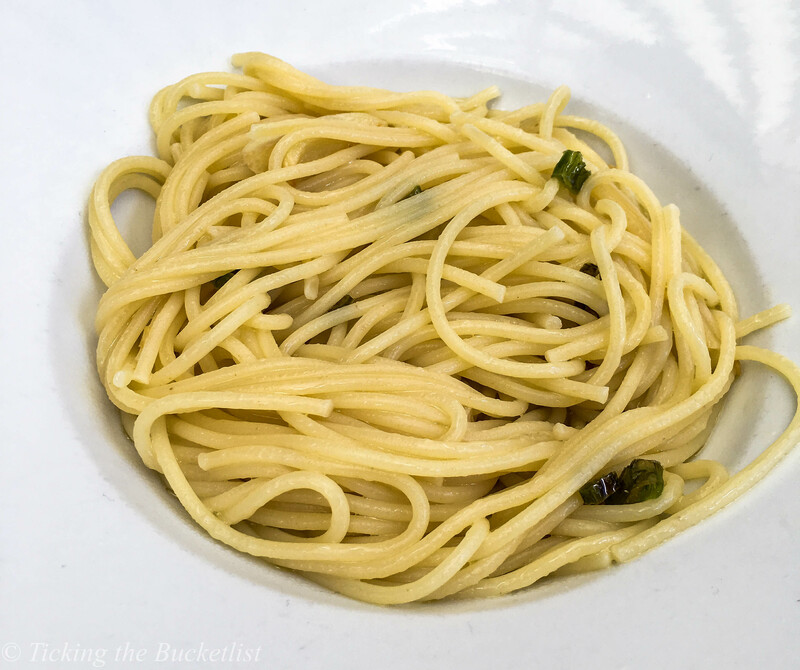 We love a good aglio olio pasta with lots of garlic, herbs and preferably some sautéed vegetables. The best aglio olio pasta that we had during our stay came out of the kitchen of our B&B, courtesy moi! Not many places had aglio olio on the menu. However, if you fine with a tomato/pesto/ cheese based sauce, you will find them on most menus. 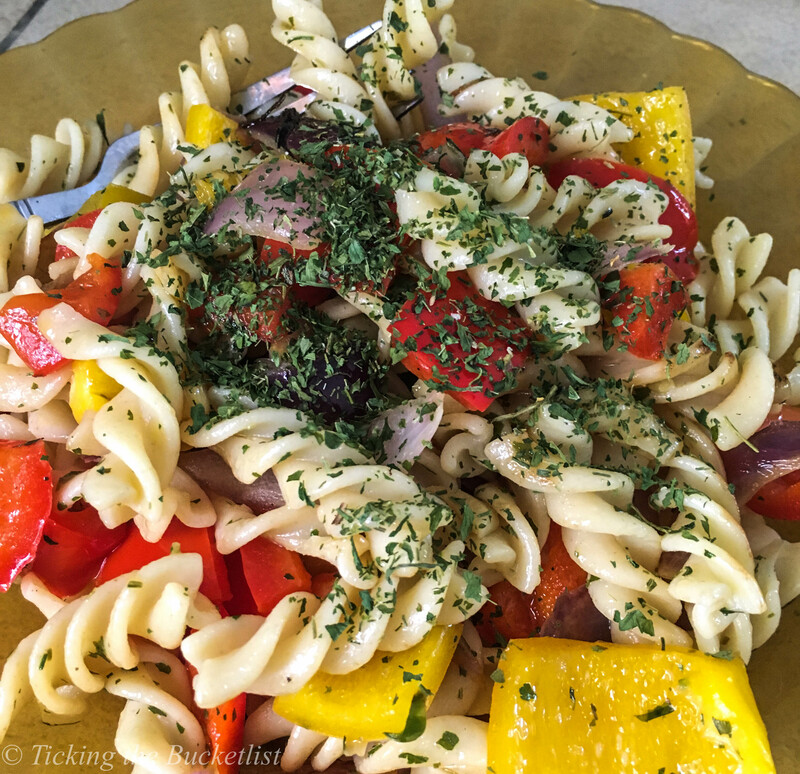 Adding vegetables to the pasta wasn’t an option in most places and modifications to the dishes in the menu weren’t possible. Ordering a side dish of grilled vegetables is always a good idea for those who would like to add a twist to their pasta dish. We figured out the delightful ‘street food’ after spending two days in Seychelles. 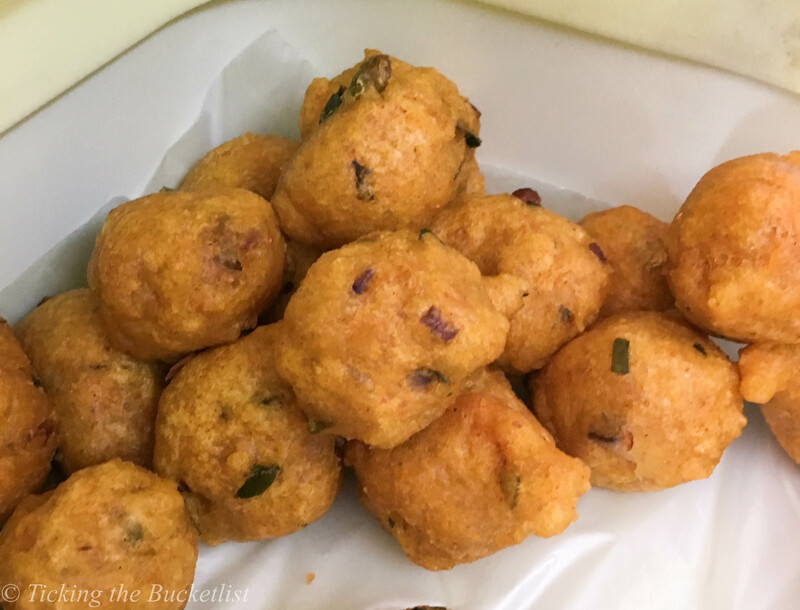 Deep fried balls of batter, with pepper and chillies were a delight to our Indian taste buds. We stuffed the chilly balls in some fresh bread and made a sandwich which worked perfectly as a picnic lunch! This was just like the ‘Vada Pav’ that we chomp on in our very own Mumbai. For the budget traveller, the chilly cakes are perfect and make a filling snack for less than EUR 1! You can find them at almost all grocery stores, especially during the first half of the day. Remember to pick up some pancakes while you there! Remember to take in some tropical goodness by picking up fresh banana and tapioca chips. 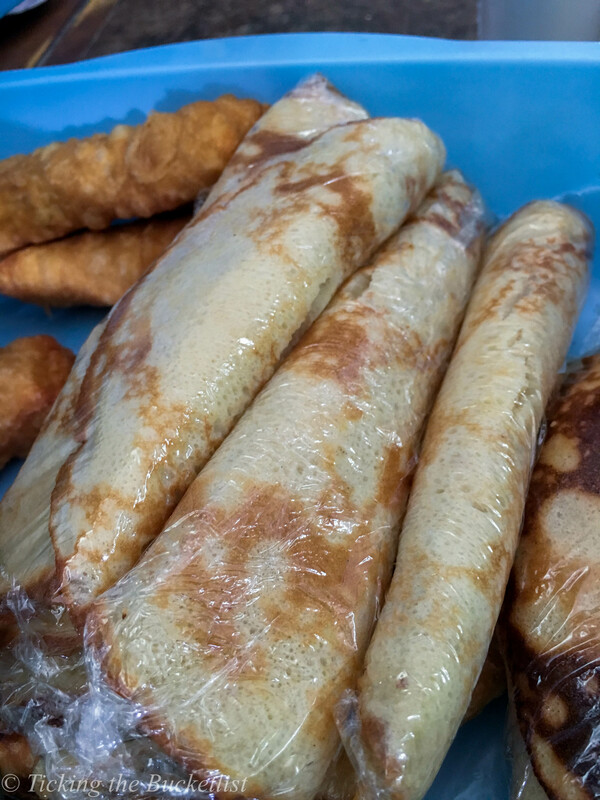 We found a vendor at Beau Vallon in Mahe frying them… fresh and crisp… perfect munchies with a beer! Most restaurants had sandwiches on the menu, with at least a couple of vegetarian options. However, typical creole restaurants do not serve them for lunch or dinner… it’s a snack item! So, quieten your tummy if it craves for a grilled vegetable sandwich at noon… or find yourself a pizzeria to satiate the craving. 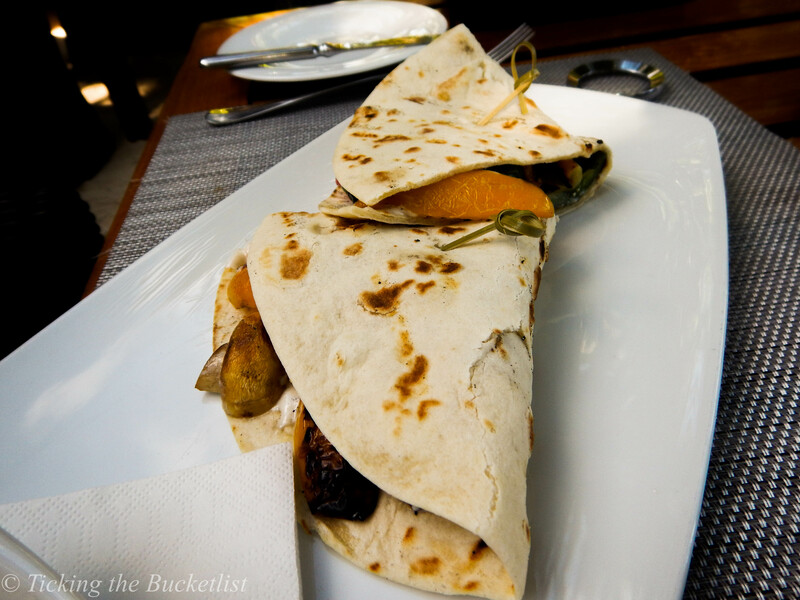 The best sandwich that we had during our stay was the vegetarian piadana at Kempinski in Mahe. Well, all the food that we had at Kempinski was delightful and this was no exception! Long and short of the story… as a vegetarian, Seyhelles offers few things to your palette. But if you have the money, upper end restaurants in the five stars will keep your taste buds in high spirits with food from around the world! If your are a budget traveller, whip up a pasta and a salad, buy chilly cakes and juice… and you are all set for some fun at the beach! 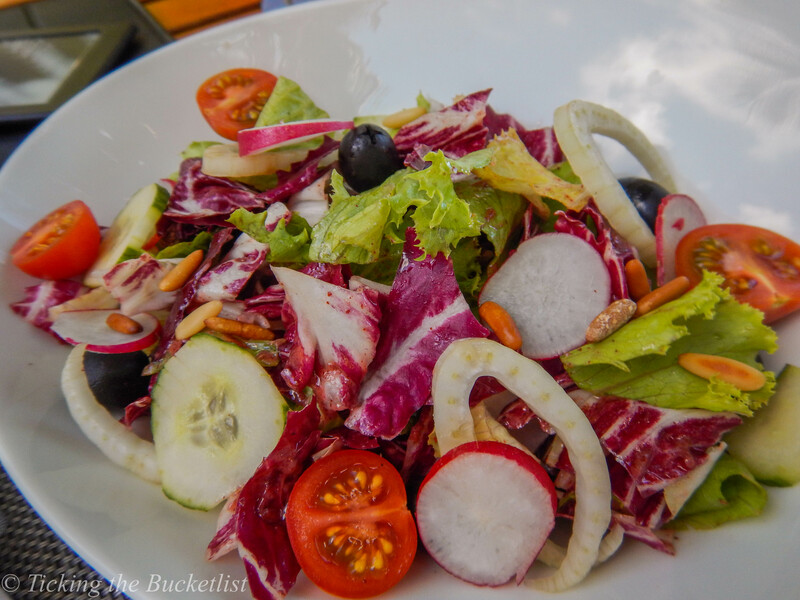 Do you have any suggestions on vegetarian food options in the Seychelles? Thanks….we tried quite some stuff. Honestly, vegetarians have limited options …not too many. And as vegetables are all imported, they are expensive. To enjoy the essence of Creole cuisine, one should be a sea food lover! Amazing foods. Love to try it. The Creole curry is a must have!